I apologize to the “Helicopter Mom Police” but today I was one of “those” moms. I trailed behind my son, in my own car, as he drove to school. No need to gasp, it was his first solo expedition and he had his license for a little over an hour. Of course, he’s been driving to school with me as a passenger for quite some time. He completed Driver’s Education and has been practicing for about a year. Yet, there was something monumental about today. The day he could finally legally drive to school. As I watched his car move farther away, his childhood flashed before my eyes. I’ve been his cheerleader for every milestone serving as a precursor for this day. A beautiful fall morning with leaves dancing in the street punctuated this momentous event and the ever changing, fleeting and final year ahead. He’s 17 and a senior and I know this was the first of many goodbyes. Goodbye to driving to school, since he was two and a half and in nursery school this has been my job. My minivan was filled with giggling boys, sticky juice cups and lollipop sticks. I was usually half conscious, sleep deprived and happy. Yes, there were years he took the bus but then I was driving to practice, a friend’s house and a million other places. As I watched him pull out, I traveled back to the day he took his first step. He was enthralled with walking and joining his sister. Sitting was no longer an option and at two years old he told me flat out, “No more stroller, no more highchair, no more nap.” I was devastated, he was only two but he liked his mobility and he wasn’t wasting any time. 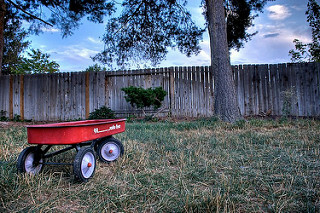 I also remembered his first set of wheels, his beloved red wagon. Of course the fuel behind the wagon was me but he loved canvassing the same neighborhood he was driving through today to collect leaves, rocks and sticks. He loved the wind in his face, the speed four wheels provided and the thrill of the ride. I also saw his second set of wheels, his first tricycle, then his training wheels and the day the training wheels came off. He learned along with his older sister and his determination was amplified by his love of movement. I remember jumping and screaming hooray as he plowed into a bush, but he was riding his bike. When he passed his road test, I jumped as well as he eyed me with a “come on Mom get in the car” look. There were other wheels, skate boards and wave boards and bikes and as he drove along the streets he slowly transformed from little boy to young man. 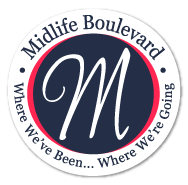 I watched as he maneuvered the car and for every move forward I said my silent goodbye. Goodbye to the one year old who made his first step, goodbye to the two year old who ditched his stroller, goodbye to toddler in the wagon, goodbye to the boy on the tricycle and the little guy who gladly said good riddance to training wheels, goodbye to the middle schooler who sailed away on his bike. I said my goodbyes but I’ll never stop worrying, never stop celebrating his victories by jumping up and down and I know I’ll always be behind him the way I was today.